Pranam implies welcome and asana is a stance. 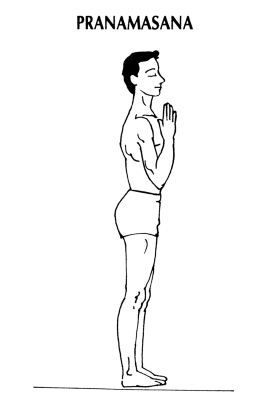 Pranamasana is the stance of supplication or greeting. It is likewise the beginning and completing stance of the asana arrangement Surya Namaskara or Sun Salutation. This stance is one of those superbly basic ones that can be rehearsed effortlessly at wherever and minute in time. It is exceptionally valuable for getting you back to focus when you get a handle on a tad bit of adjusting or just needing some additional inward food. Position : Keep the eyes shut. Stay standing upright with the feet together. 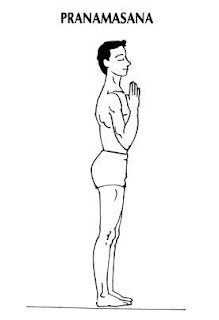 Gradually twist the elbows and place the palms together before the mid-section in namaskara mudra, rationally offering respect to the sun, the wellspring of all life. Unwind the entire body. Breathing: Breathe normally, inhaling and exhaling through the nose. Mindfulness: Physical – on the mid-section region. Mantra (optional): Om Mitraya Namaha, greetings to the companion of all. Benefits: This stance sets up a condition of fixation and tranquility in preparation for the practice to be performed.